6:30 a.m. Time to make the donuts (or seein’ as I’m in España – churros). I had a great night in Roncesvalles, and ended up spending the night at La Posada (a private room with a TUB, 35€). I ended up meeting the owner and we drank vino and chat into the wee hours (reminder to self: don’t pre-party the 1st night of a 800km trek). 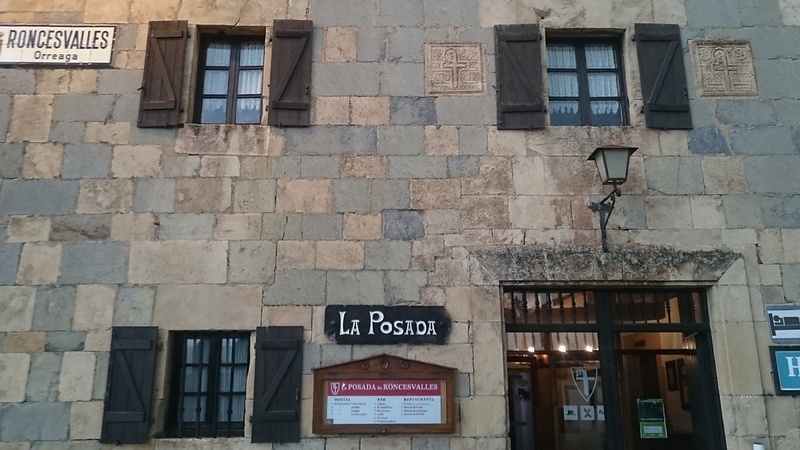 Sidebar: La Posada is actually the Albergue in a scene in the movie “The Way” where Martin Sheen and Joost (The Dutchman) are sitting outside and Joost offers him to partake in a joint and then offers him a sleeping tablet. The owner and I (he was also the first person in Spain I “pinned” a Donald “Make America Great Again“ button on) . After fighting the mud and a couple of stops to snack and change clothes I made it to Zubiri, which is the designated Stage 2 stop by my guidebook, however I’m pushing on another 24km or so to Pamplona. Obviously, for me to make Santiago in 28 days versus the 33-35 that my guidebook recommends I’ll have to have a few two-stage days. The drawback to this plan of doing a double this early is that I’ll lose Josefiina, who along with Yan and Erika will stay at an Albergue in Zubiri. Btw. Yan is a girl from Malaysia that I met at the train station in Biarritz, France at 4 a.m. while we were both awaiting a 7:55 train to St Jean Pied de Port (which was cancelled but we eventually managed). She was meeting Erika (from Taiwan) for the first time in person SJPDP, as they had known one another for quite some time but only via online chat/Skype! Yan actually took the photograph of me outside the Passport Office, as once we located Erika we all three went there together. Had a big birthday lunch and “too much” vino with The Girls in Zubiri, and although they tried convincing me to stay and enjoy my birthday, I was set on moving on and off I went. Invariably hindsight would prevail, as I should’ve caved to their persuasion, but nonetheless after a torturous 6 hours, the latter half in the dark (another Amazon.com life saver – headlamp), I made it to Pamplona! Pamplona, for those of you whom have never been is a magical city! It’s not very big with a population of ~200,000, but if you spend any time here you’ll quickly see why Hemingway was so obsessed with Pamplona, the scene for one of his greatest novels – ‘The Sun Also Rises”! Sidebar: Hemingway had a deep affection for Spain, even though he’d write many novels set in the various parts of the world he’d visit – Cuba (The Old Man And The Sea), the Florida Keys (To Have And Have Not), Paris (A Moveable Feast), the French Riviera (The Garden Of Eden), Kenya (True At First Light), he would reference his many trips to Spain in many of his works. 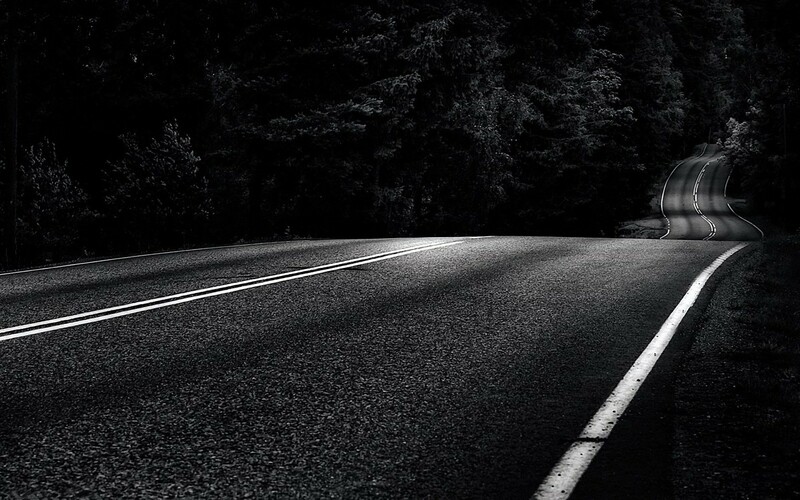 Ironically, on 2 July 1961 – he walked on to the porch of his home in Ketchum, Idaho, and put a shotgun in his mouth. It was the week of The San Fermín Festival (The Running of the Bulls in Pamplona). It’s been a challenging first couple of days, but I’ve been rewarded with meeting great people, enjoying great food and wine and reading many “birthday wishes” emails from many of my friends around the globe (thank you all very much, my apologies for not answering any of them but I’ve had limited Internet access while walking El Camino). I didn’t take as many photos today with the rain and the 2 etapas (Spanish for “stages”) but I’ll get more in the Gallery at my next stop over. Buenas Noches! To preserve sanity, I do not want to delve too far into the mysticism or enigma that is walking The Camino de Santiago. Notwithstanding, the second half of my trek today, particularly the last 8-10 km, we’re extremely difficult. I would find however, a comforting and “mystical” form of inspiration – a familiar voice repeating, “Come on Guillermo you can do it, keep going…” The voice was not my own, it was that of a dear friend, Paul Cattaneo (and very uniquely his) who would’ve celebrated his 48th birthday that day as we shared the same birthday. I was truly struggling, the exhaustion, the wine, Pepe… yet hearing Paul’s voice helped me push forward, and that’s the thing about the experience, it was so clear and compelling I literally had to stop the first time…I’m sure it could all be explained/tied to certain cognitive recall, or what Dr. Damásio calls “retro-activation”, but it was surreal to say the least! So nice to see the country side again. Love the history lesson, sidebar quotes. Keep your spirt high because the reward will be all yours. You are the only family member I know that has made the trip. Several Gallup Catholics (jelots)have made the trip after our Bishop James Wall came to gallup. When we went in 2010 we brought a stick that was blessed by the priest at the tomb of Saint James. Hope you will go to the Cape Finisterre. Tye sunset was amazing at the sea. For Giuliano and I it was knowing our families came to the new world. They have accomplished so much. We cried when the water touched our feet. Just knowing Cristobal Colon sailed after convincing Isabel that voyage for the new world. The sunset, is breath taking . I cannot imagine what the experience after walking the Camino would be. YOU MUST LET ME KNOW! CUZ!